Personalised Tax Services your local Adelaide Tax Agent, Accountant and Business Advisor was founded in 2003. 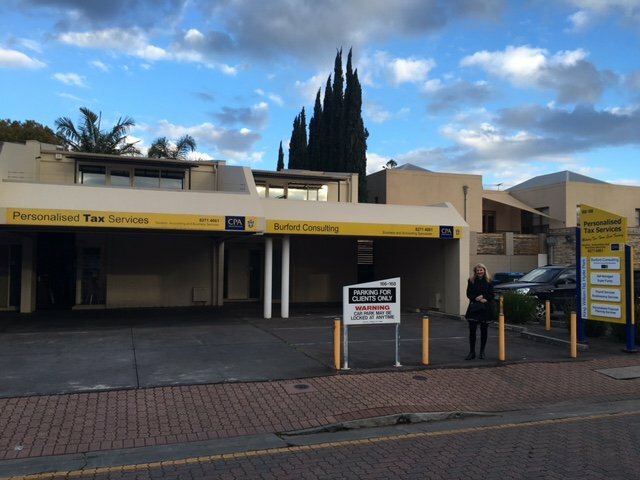 Located 3.2 km’s from Adelaide’s CBD, on King William Road Hyde Park since early 2004 we are now one of the area’s leading Taxation, Accounting and Business consultants employing over 10 staff members. The business has expanded and has recently occupied both 166 and 166A King William Road. Personalised Tax Services now offers integrated professional services including taxation, accounting, business advice, bookkeeping, outsourced accounting and financial services such as superannuation, insurance and self-managed super funds. The business prides itself on the level of personal service offered to clients and is passionate in providing a level of service that will exceed our client’s expectations. Many clients having been with us since start-up. Personalised Tax Services has grown as a result of referrals from existing clients and the addition of new clients seeking a high level of personal service. Strong and lasting relationships developed with our clients over the years is certainly evident by the many positive client reviews received on our website. Personalised Tax Services have two partners who specialise in supporting individuals and small to medium sized businesses in all of their taxation obligations and advising on the protection and growth of their wealth. We also advise on appropriate business structures, succession planning and business strategy whilst their associate advises on insurance and superannuation. There are four Xero Certified Advisors who are highly qualified and skilled in Xero, MYOB and Quicken and provide bookkeeping, payroll and accounting support. Personalised Tax Services is a member of CPA Australia, The Tax Institute and The Tax Practitioners Board. Please call 8271 4061 or contact us to have an obligation free discussion on how we might be able to help you. Greg and Karen have been supporting and advising me in my SME since I started my business 10 years ago.